Don't forget to enter my giveaway here!!!!!!!!!!!!!!!!!! N'oubliez de joindre mon concours ici!!!!!!!!!!!!!!!!!! oh, this is so cute, girl! love the striped sweater! t'es toute belle Dee!! j'adore ton pull et ta jupe!! Super mimi ta tenue ! & j'aime beaucoup tes collant en plumetis ! Toute mimi avec le petit chapeau j'adore! Tres belle! I adore this look! 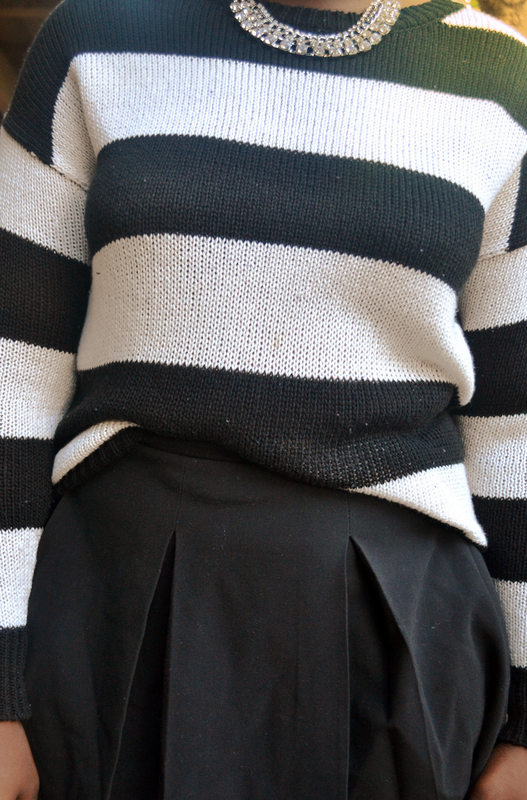 Love the crop cardigan against that pleated skirt. 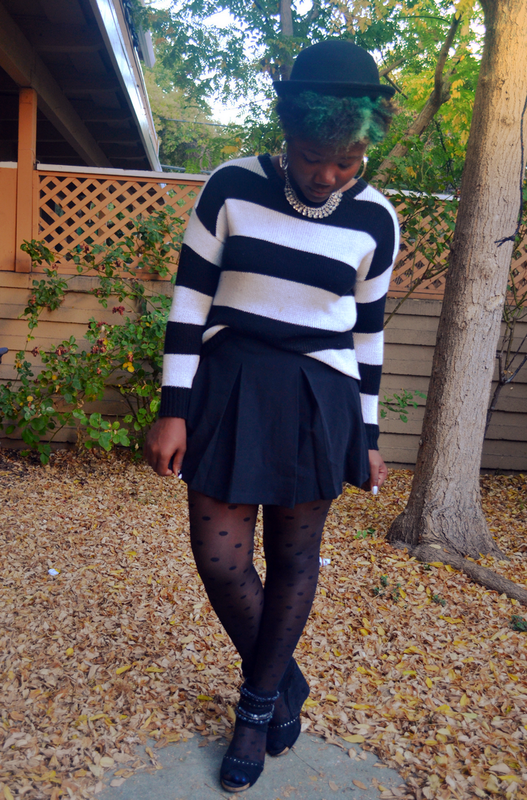 This is so cute and preppy and your hat and shoes add just the right edge. 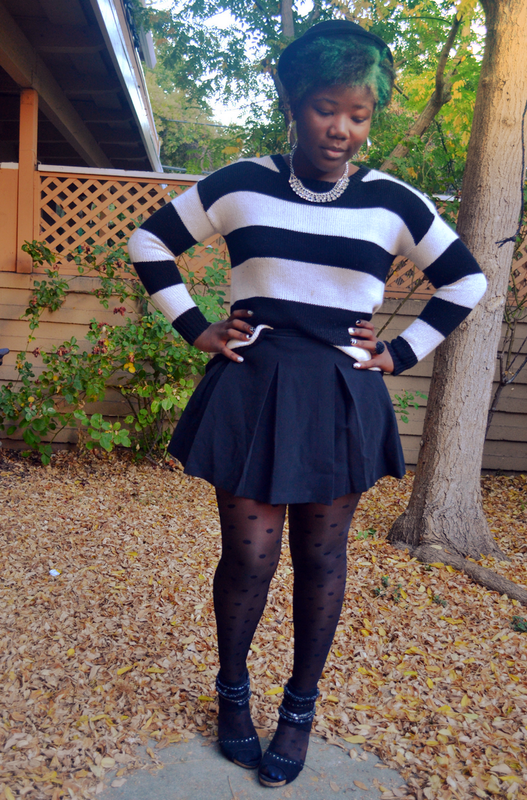 lovely outfit, well put together! Great! All the best for the exam and have fun in the holidays, Diane! Love this simple yet so stunning look! SO COOL!! !REALLY REALLY LOVE IT!!! Tu portes une très jolie tenue !